Today I want to introduce you to someone special, someone who has totally taken our hearts and made us fall in love with her. May I introduce our precious baby Anna! 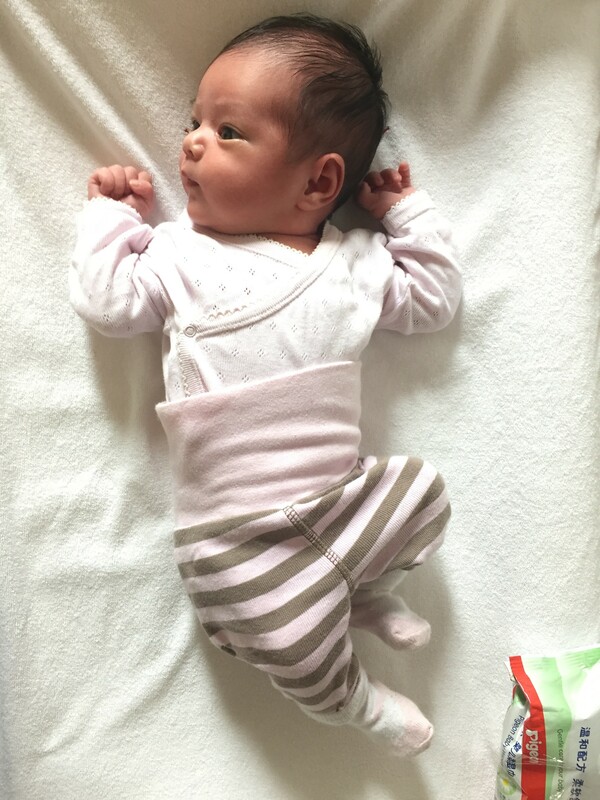 She was born two weeks ago and there are many stories and blog posts to be told about how it’s like to give birth in a public Chinese hospital. What kind of posts would you like to read about being pregnant and giving birth in China? As a funny anecdote I need to mention that where I’m comfortable talking to our baby girl in Finnish, my husband still feels weird speaking Cantonese and has been mainly using Mandarin with her. Do you have a bilingual or multilingual family? How did you solve the language issue? She is so precious! I love the name Anna! Do you keep to the Chinese customs after giving birth? I will write another post on my take on the “zuo yuezi” aka the Chinese postpartum customs, but I can say that I’m more following my own feelings on what is best for me and the baby right now. That’s a lot of languages as well! It will be so interesting to follow later on how our kids learn languages and in which languages they say their first words. Indeed, “zuo yue zi” or not? Regarding birthing in China, did you have a midwife or a doctor? Were they “respectful”? (that is, allowing you to move freely or change positions, and so on). I’m glad it went well and she arrived safely. May Anna have a long, healthy and happy life! Congrats to you 3, you make a beautiful family! I’ll be writing about “zoo yuezi” later on for sure. In the hospital they have midwives and doctors, usually a doctor is called in only when necessary. They let me move freely and change positions etc, so in that regard it was a very good experience. Congratulations! We speak Chinglish at home but our son, now 15, only speaks English (we live in the US) but understands a little Mandarin. If I may, I’d like to know did you wish your son would speak more Mandarin? Onnea koko perheellesi! Täällä muuan suomalainen mummo, joka saa toukokuussa suomalais-pakistanilais-kiinalaisen lapsenlapsen Dalianissa. Olen juuri lähdössä häihin Dalianiin. Avioliiton rekisteröinti on jo tehty, hääjuhlia ei ehditty vielä viettää kun pikkuinen ilmoitti tulostaan. Ihana niin. Olen seurannut blogiasi, myös poikani jo muutaman vuoden takaa. Kirjoitan blogia, jonne aion nyt jatkaa – pitkään olen ollut kirjoittamatta, koska vanhan äitini hoitaminen on vienyt aikani ja energiani. Aikoinaan kaksosilleni puhuin vain Suomea ja ennenkuin he huomasivatkaan, suomesta oli tullut vahvasti meidän yhteinen kieli. Asuimme silloin Pakistanissa (lasten isän kotimaa), jossa englanti oli perheen yhteinen kieli ja maassa lapset oppivat urdun siinä ohessa kavereiltaan ja mummoltaan. Paras ohje, jonka aikoinaan sain, oli se, että lapsen pääasiallisten henkilöiden, vanhemmat, isovanhemmat, siskokset jne tulisi puhua systemaattisesti kullekin heille mieluista kieltä, jos lapsen siä halutaan oppivan. Näin kielen oppiminen tulee luonnostaan. Koska suomen opettaminen jäi minun vastuulleni, (Karachissa ei ollut suomenkielisiä leikkikavereitä ), joten minun oli oltava tiukka, ettei yhteinen puhumisemme lipsunut englannin puolelle. On ollut mielenkiintoista seurata elämääsi siellä ja kirjoitat napakasti ja selkeästi. Kaikkea hyvää sinulle! Onko siellä muita suomalais-kiinalaisia perheitä? Dalianissa ei ole muita suomalaisia yleensäkään. Ulkomaalaisiakin vähän. Menen Yingkou-nimiseen kaupunkiin pohjoisemmassa Liaoningin maakunnassa. Vaikka sekin on yli miljoonan asukkaankaupunki, sinne ei taida edes eksyäkään kukaan ulkomaalainen. Odotan mielenkiinnolla .300 kutsvieraan tilaisuutta! Moi Seija! Muistan sinut ja blogisi oikein hyvin, mukava kuulla kuulumisiasi! Taalla on muutama suomalais-kiinalainen perhe, Myohemmin on varmasti Annalle hienoa nahda, etta on muitakin samanlaisia perheita kuin meilla. 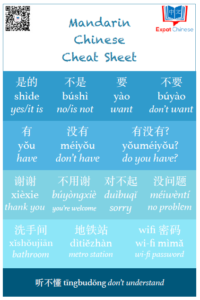 Let your in-laws use Cantonese with her! Yes, I need to remind them to use Cantonese with her, sometimes they speak Mandarin cause I’m around, but I should tell them that I don’t mind. Better to use one language, and not to change it all the time. Regarding our situation at home: I speak Spanish to our girls (so do my relatives). My husband speaks Mandarin and only Mandarin to them. His parents speak Mandarin with a 南京话 “touch”. Plus, they attend a British school so the language at school is English. Well, our daughters are 3 and 6 now and they are not conscious of the fact that they have learnt 3 languages at the same time, but it’s amazing! I think it is important to stick to one language with the kids (it’s the so called “one person, one language” approach). As long as one perseveres and uses that language with the kid, the kid is going to learn it. I’m sensitive towards this issue, not only because I am a linguist, but also because I have Spanish relatives who migrated to the UK//US during the Spanish Civil War at a time when they abided by the “English only” tendency. When they had kids, the kids lost all trace of the languages my relatives spoke (Spanish and Catalan) and therefore, of the culture and roots, and only decades later they are trying hard to recover what they lost. In any case: Whatever you decide is the right thing and the way to go. All the best! Thank you Olga for sharing! I believe that the one person one language is the way to go as well. I believe I have to be quite strict about it in the future as there aren’t so many Finnish speakers around here and make sure that our girl speaks to me in Finnish. Congratulations on your daughter! Did you guys (or the grandparents) pick out a Chinese name for her? I speak from the pov of the child in a multilingual family. My mother speaks English, Cantonese, and Mandarin fluently, and was conversational in Shanghainese, Teochew (潮州话) and Hokkien (福建话). My father speaks English, Indonesian, Javanese, and Dutch fluently, and was conversational in French and German. They only spoke to my sister and I in English, and I regret that so, so much. Communicating with my grandparents was very difficult. My maternal grandfather primarily spoke Shanghainese, Cantonese, and Mandarin, and when I was a child, my Mandarin was utter crap, so I couldn’t really communicate with him. My great grandparents on my mother’s side (my maternal grandmother’s parents) spoke Cantonese, which I couldn’t (and still can’t) speak at all. So I couldn’t communicate with them either. And I was living in the same country as them while they were alive! My biggest regret is not learning more languages when I was younger, and being unable to communicate with my grandparents. I think that language was partly why I was never really close to either set of grandparents. They’ve all passed on now, and I definitely think that language is my biggest regret, especially since I am particularly good at learning languages! Thank you for sharing your experience Yueni, I’m sorry to hear that you feel you lacked a connection with your grandparents because of a language struggle. Your story makes me even more certain, that it’s important for our kid to learn our languages. I’ve had a few people ask me why I speak to her in Finnish as it’s not such a useful language, but it’s my native language and that makes it important. Congratulations, what a precious little baby! I grew up multilingual too. Mum side of the family spoke Thai, Dad – Hokkien, but since we lived in “town”, our daily spoken language of the family language was English, and till this day is what I would consider my mother tongue. If that was not confusing enough, in since we are lived in Malaysia when I was younger, we in addition to all that we also made to learn Malay as an additional language. My best advice is really, to just keep speaking all these different languages. When I was younger, I often felt very ashamed that mum wasn’t speaking to me in English, and always tried to hide the fact that I understood perfectly Thai. I thought it was embarrassing not to speak English. For a long time I refused to answer her back in Thai, even though I knew the words. The subconscious mind works wonders. Now that I am older, I am thankful, I believe that even though I am no longer that good in those languages, living in a multilingual family made me able to pick up new language faster than most of my peers. So my best advice is to just stick to it. Children really do soak up new informations fast, and even if they are not putting it to use, in time – it’ll come in handy. Having worked in international schools, some children handle languages well and others don’t. Many will not speak often and will appear shy (the brain is trying to interpret). Use pictures no matter the language used (one mother used velcro around the table to put the pictures which were removed as the child was more fluent – the pictures facilitated understanding and created conversation opportunities no matter the language). Experts recommend being taught a language by a native speaker. Too many languages creates a person who is fluent in no language (speaking/reading/writing). Learning other languages is said to be easier if you are fluent in at least one language. My DIL handled her bilingual household this way: Both parents speak the same 2 languages – each fluent in their mother tongue. So when in the US, they speak French at home and English outside; in France, they speak English at home and French outside. The children are fluent in both and well-adjusted. Congrats for your kid, do you plan to learn Cantonese? As the language is much easier for your daughter to study. A bit late, but congratulations on the baby girl! If all goes okay, I’ll be having a boy next month, and father is of Chinese ancestry from Hong Kong. The father wants for him to learn Cantonese and Russian (his and mine languages) and English itself will come in time.